As the calendar on my computer screen rolled down into the month of April, I noticed a deadline for a decision I have been avoiding. I placed this reminder on my calendar when the leaves were beginning to turn in the previous year. The number of days ahead comforted my indecision. Yet, the mill of time has ground those days away, the leaves are budding anew, and I remain as indecisive as the day I typed my reminder. I have often picked up this decision in the intervening months, examined it from various perspectives and left it on the calendar. Time remained, so I cherished my indecision. April’s sunshine, fair weather and dwindling time have forced me into a corner – will I register for the Boise Ironman 70.3 or not. I am not sure I have enough time to get into half-marathon shape. I am not sure I want to get into half-marathon shape. I am not sure my knees can take the training. I am not sure I want to spend the money. I am not sure I want to spend the time. I am not sure I want to suffer – especially through that run. All of these concerns have caused me to delay a decision until my deadline. The delay comes from the unanswerable nature of the concerns, manifested as excuses. I have no idea what competing in an Ironman 70.3 will feel like. It is unknowable until one commits to competing. What I do know is that competing in an Ironman has been a goal since I started doing triathlons. I also know that I will never finish a race if I remain agnostic to competing. I realized that I have been largely agnostic to the Boise Ironman. I acknowledge that it exists, but based on the unknowable aspects of the race I had remained uncommitted. I was awaiting answers that would come only after I had committed to accomplishing the goal that I have set for myself – completing an Ironman race. I was awakened from my agnostic indecision by Jesus’ parable of the great banquet and the excuse makers. I have known many of these excuse makers. They cloak themselves in the philosophical coverings of the agnostic. They believe that there is a divine being, an ultimate cause, a mysterious entity behind everything …They believe there is a God. However, they will not commit to any religion or specific belief because they want to know more. They cherish their intellectual indecision as they claim to be seeking answers to their questions. However, I have met few who are really seeking with any urgency. They pick up the consideration of God periodically and examine the questions from different perspectives but always place it back on the shelf of indecision. They rarely actually examine the information given to them to help in their decision. They are comforted by the perception of time. There are no deadlines that force a decision. There is no countdown to consequences. Therefore, the months and years slip past as the excuses of indecision mount. They fail to acknowledge that indecision is a decision. It is like my indecision to compete. 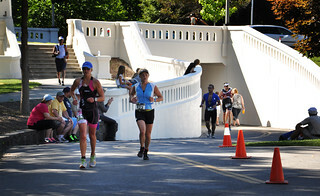 If I do not decide to enter the Boise Ironman, then I am guaranteed to never finish the race. Those who believe there is a God, but live in indecisive unbelief, are guaranteed to never complete that race that leads to eternal life. The answers to the nagging questions about the nature of God will only be revealed after the commitment to believe. Understanding comes through faith, not before it. Those cloaked in agnostic indecision should not rest comfortable due to the seemingly endless number of days ahead. No one knows the number of days they have. You have all that you need to make a decision. Read the Gospel of John. Read the Gospel of Luke. They were written so that you would have what you need to make a decision. Decide to believe or not believe but just stop the excuses of indecision. The mill of time is grinding away your remaining days – you know not how many you have left. P.S. – I did register for the Boise Ironman. What a brilliant parallel you draw, JD. The names of several agnostics among my acquaintances came to mind as I prayed along with your prayer. Thank you for a wise, insightful post. 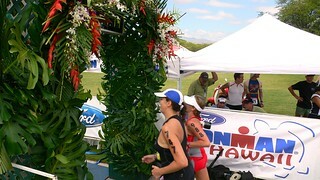 May God bless you in delightful, surprising ways as you train and participate in the Ironman competition! Which race are you running? The one you have committed to or the one you chose through your indecision? Your comparison drives the point home.